Who knew a kiss could be so radical? Political advertisements rarely do something different. In public, straight people kiss all the time. In the media, they often do a lot more. For all the real and significant advances of the LGBT-rights movement, LGBT people are far more cautious. By showing himself kissing his husband with his two terrific African-American children, Madaleno pushes the boundary – and not in a safe, made for cable series but in a political advertisement. It explicitly makes the case and challenges voters that his marriage and his family are just as good as anyone else’s. 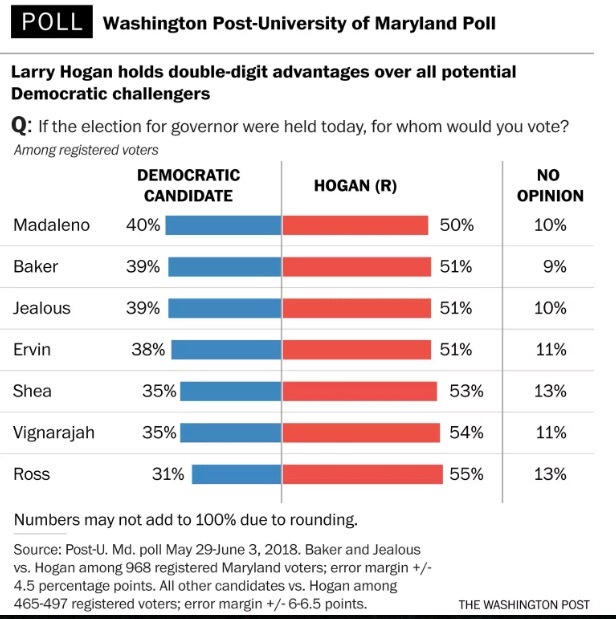 The gap between the Democratic candidates and Larry Hogan ranges between 10 points for Rich Madaleno and 24 points for Alex Ross. Rushern Baker and Ben Jealous, the two leaders in the Democratic primary poll, trail Hogan by 12. Along with Rep. Jamie Raskin’s (D-8) support, this is the biggest endorsement to date received by the Madaleno campaign. Choice, access to contraception and women’s health care are big issues, especially in this #metoo election. Additionally, U.S. House Republicans made reducing access to women’s health care services integral to their failed plan to gut the Affordable Care Act. So these issues are more salient than four years ago and MD NARAL’s imprimatur, always nice to have, is more valuable than usual. Why did NARAL Pro-Choice Maryland endorse Rich Madaleno over his Democratic competitors? 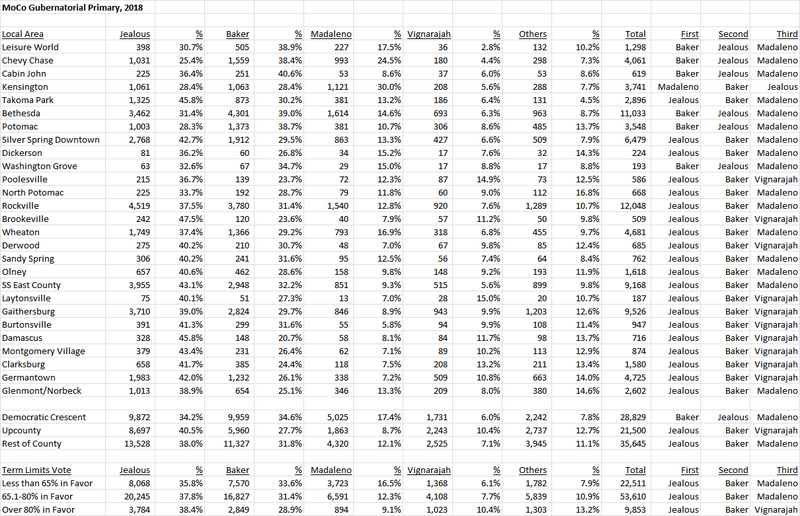 For a start, though women form close to 60% of Democratic primary voters and are a critical constituency for any candidate, County Executives Kevin Kamenetz (D-Baltimore County) and Rushern Baker (D-Prince George’s) surprisingly did not submit questionnaires to MD NARAL. 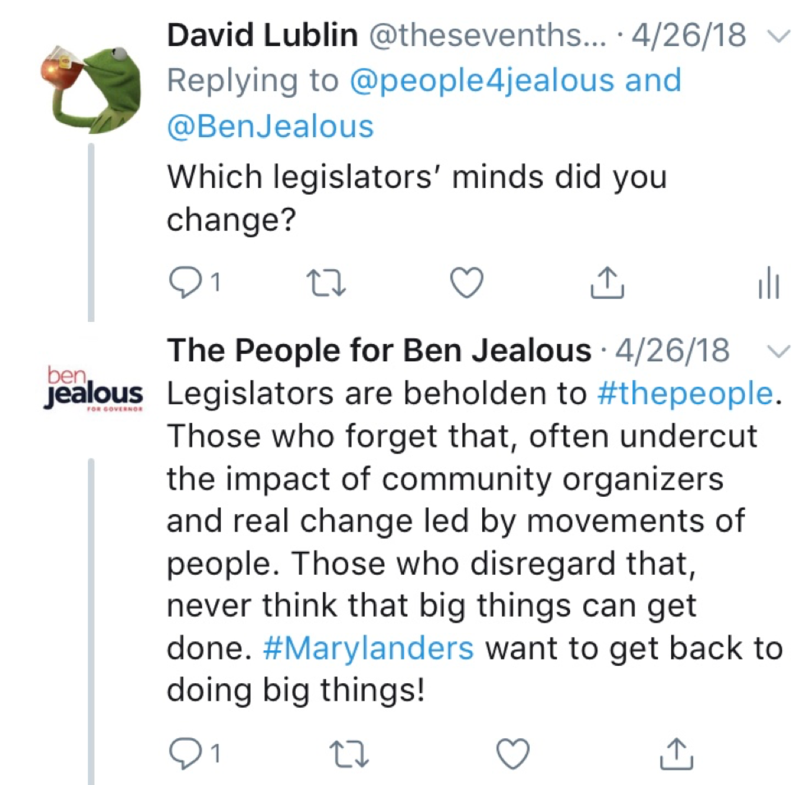 Four other candidates – Ben Jealous, Alec Ross, Jim Shea, and Krish Vignarajah – were rated 100% by MD NARAL on their questionnaire responses. They will understandably tout this rating as good evidence of their staunch pro-choice and pro-women credentials. Madaleno was the Democrat who protected funding for Planned Parenthood when it was attacked by Republicans in Congress in 2017. He has also co-sponsored a number of laws: to make feminine products available to homeless girls and women; to expand services to victims of sexual assault; and to ensure insurance coverage in Maryland for prescription contraceptive drugs and devices. Alec Ross has received a lot of press attention over his accusing openly gay Sen. Rich Madaleno of “prancing around around Annapolis.” Ross’ initial reaction was to ignore. Then, he said he would not apologize in a meeting with the Howard County Young Democrats. His running mate, openly lesbian Julie Verrati, a co-owner of Denizens, got outraged in a tweetstorm. Beyond arguing that Ross is not homophobic, Verrati pointed out that she has been regularly subjected to demeaning remarks, which is an odd defense of her running mate doing the same on television. Verrati also argued that she shouldn’t have to address this issue. I agree. Ross should have just addressed it quickly and directly instead. Finally, I have heard that Ross made a form of the political non-apology apology over his poor choice of words that he should have done immediately to dispense with the issue. Ignored amid the kerfuffle is that Ross’ remarks are not the first time that he has trafficked in strange stereotypes. Though I laud the pro-immigrant sentiment, why is it necessary to stereotype federal employees? While ICE undoubtedly has its bad apples, as do groups that Democrats tend to like such as teachers and union leaders, the people who work for it are federal employees, like many people in the vote rich Washington region. Of course, even more concerning, is his repeated statement that he would send in Maryland State Troopers to confront ICE. While a nice piece of braggadocio, this would not end well. All of this raises the questions about Alec Ross’ candidacy. 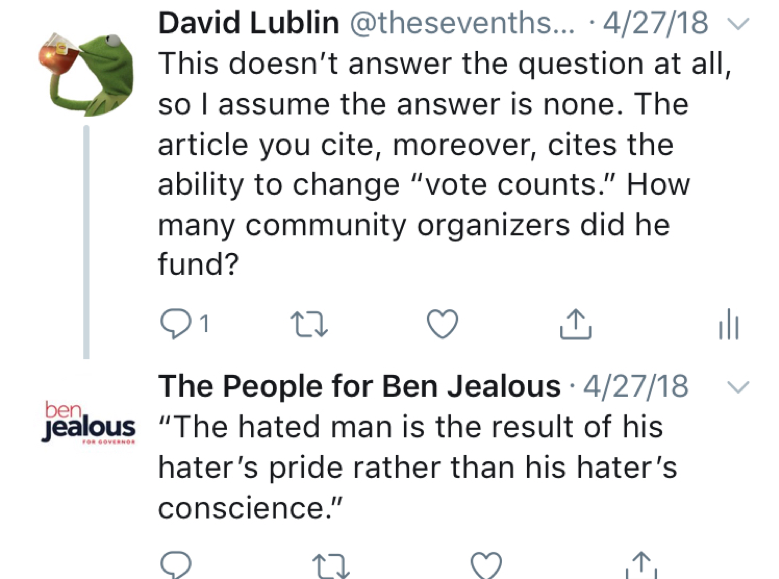 These sorts of inappropriate and untempered comments are hardly an advertisement for good judgement or an understanding that language and word choice matters when you’re running for office. 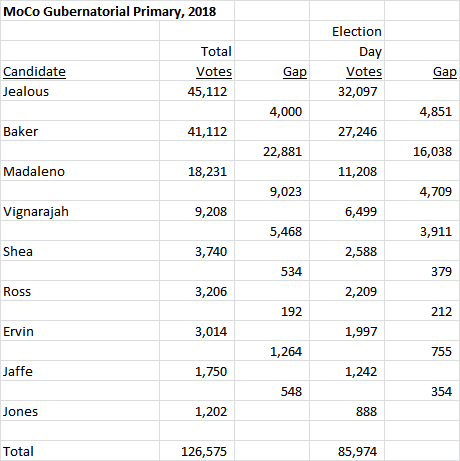 As I have mentioned previously on this blog, I am a supporter of Rich Madaleno.